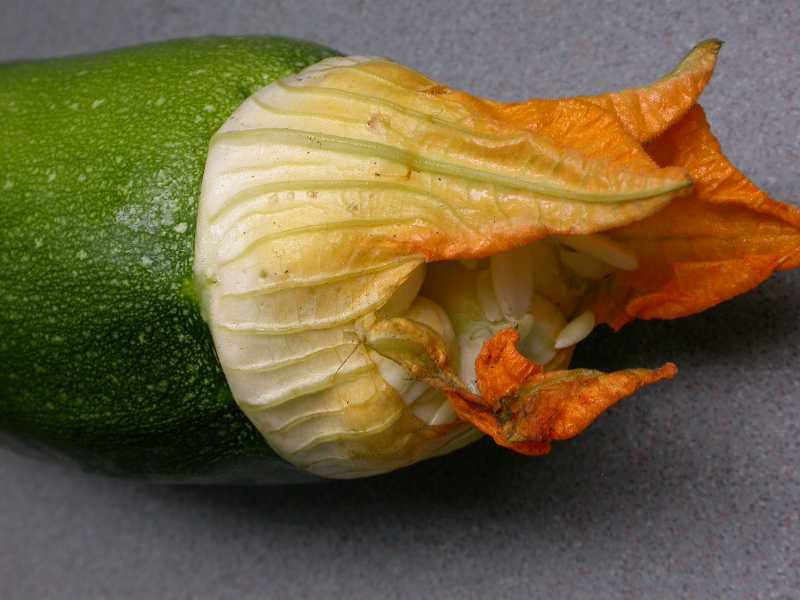 Blossom-end rot, which begins with a small watery bruise on the blossom end of the fruit, is the result of a lack of calcium in developing fruits. This calcium deficiency can be a result of slow growth, damaged roots induced by extreme fluctuations in the surrounding soil moisture content, an excess of salts, or other fluctuating conditions during plant growth. Calcium deficiencies cause actively growing cells to die because they cannot retain water and nutrients. Blossom-end rot begins as a water-soaked, sunken spot on the blossom end (the end that isn't attached to the stem) of the fruit. The spot may enlarge and become depressed as the fruit grows. The spot may turn from brown to black and become moldy. 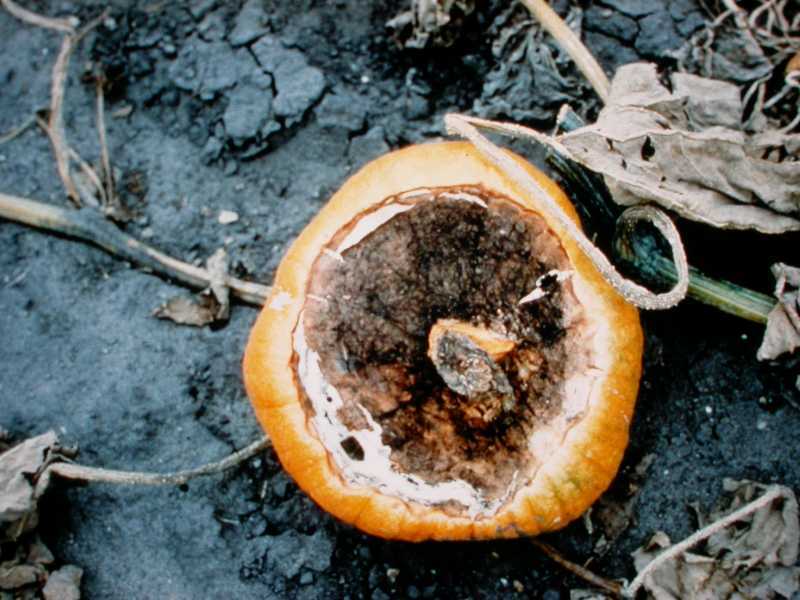 Blossom-end rot can be distinguished from other rots by its confinement to the blossom end. 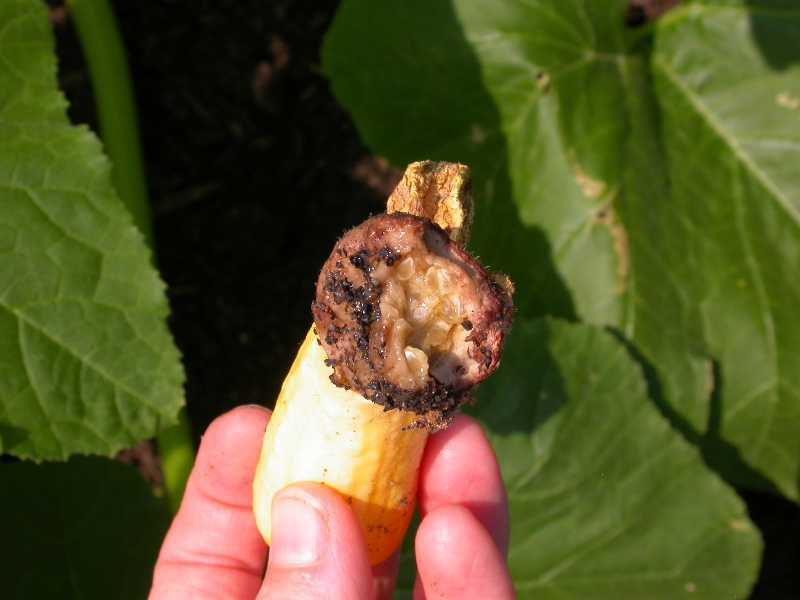 It may also be confused with rotting fruit that results from the failure of female flowers to set fruit due to lack of male flowers or pollinating insects. 1. 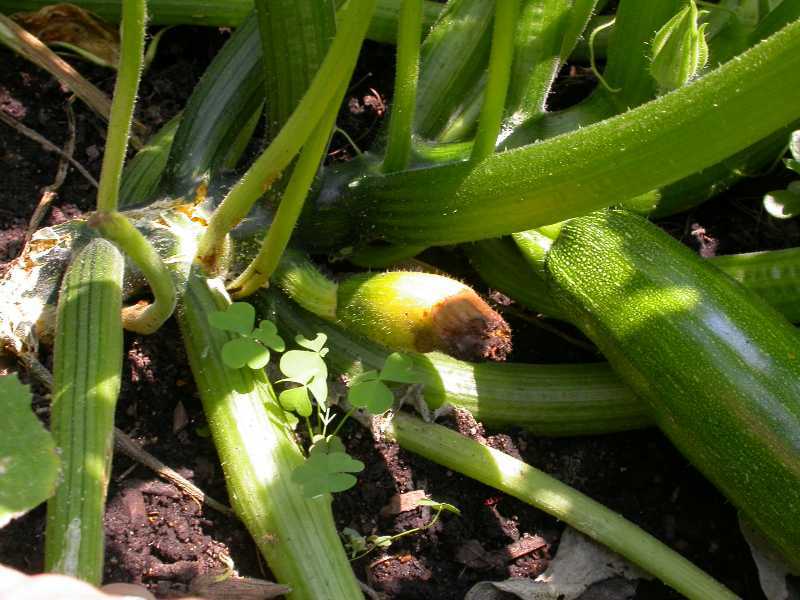 Plant cucurbits in a location that has well-drained soil. 2. Mulch the plants and water properly to maintain a uniform moisture level in the soil. Avoid damaging the root system when hoeing or weeding. 3. Test the garden soil pH. Calcium may not be available to plants if the soil pH is too low or high. 4. Limit the use of high ammonia fertilizers and fresh manure that may stimulate lush growth and add more salts to the soil. 5. Add calcium nitrate to soil or spray with 1% calcium chloride in order to boost the amount of calcium available to developing fruit. 6. 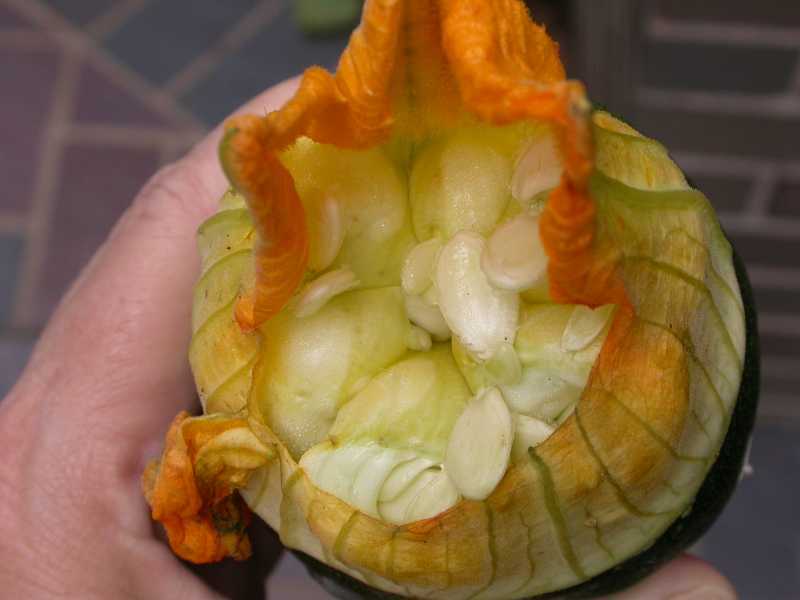 Cucurbits in containers. 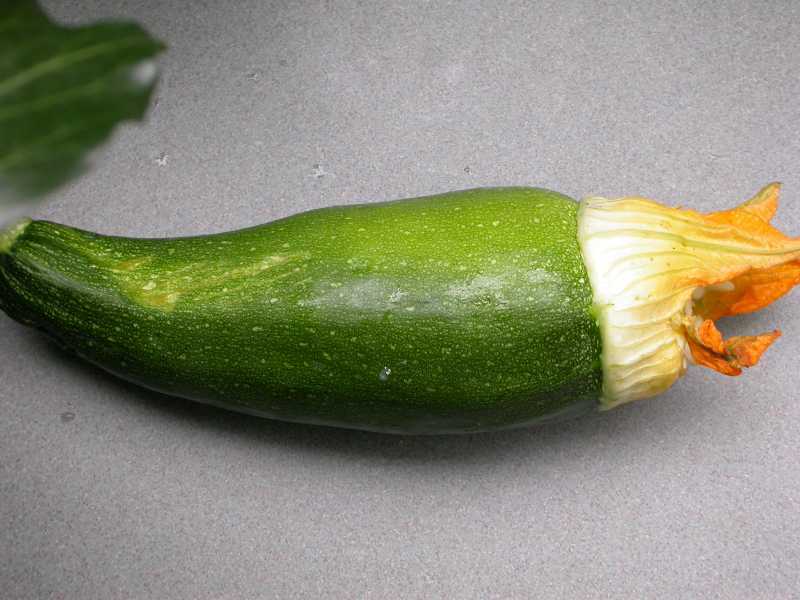 For cucurbits grown in containers, apply a fertilizer that contains micronutrients including calcium. Many fertilizers formulated for tomatoes meet these specifications. Strategies 1, 2, 3 and 6 are strictly organic approaches. Organic preparations of calcium chloride (mentioned in Strategy 5) that carry the Organic Materials Review Institute (OMRI™) seal of approval are available.